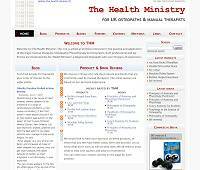 The Health Ministry is a resource site for osteopaths, manual therapists and those interested in these fields. The site contains product & book reviews with user ratings, notifications of upcoming CPD courses and events, forums for discussion of relevant topics, a blog and more. OpticalSoftware.net provides video instruction [screencast] and other resources to lens designers and optical engineers who wish to use WinLens & the other programs from LINOS Photonics for optical design. ShoulderCentric: an osteopathic website dedicated to practical solutions for the typical shoulder injuries. 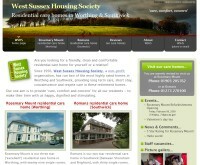 Since 1956, West Sussex Housing Society, a non-profit organisation, has run two of the most highly rated residential care homes for the elderly in West Sussex: Rosemary Mount in Worthing and Romans in Southwick, providing long term care, short stay, convalescence and respite care in these retirement homes.